CINCINNATI--(BUSINESS WIRE)-- Building on a long history of women in leadership roles at Macy’s, Inc. (NYSE: M), the rich diversity of Macy’s, Inc.’s senior management will be in focus at the Shoptalk 2019 conference this March. Five of the company’s top female executives will take the stage to share key insights and their unique business perspectives at the annual gathering of technology and retail brands and executives. The Shoptalk conference will be held at The Venetian in Las Vegas from March 3-6, 2019, with Macy’s, Inc. executives slated to discuss the breadth of the brand’s omnichannel customer experiences, vendor diversity, technology enhanced customer product experiences and next-generation retail formats. On opening day, Sunday, March 3 at 2:30 p.m. PT, Nata Dvir, executive vice-president, general business manager of beauty, will kick off the Macy’s, Inc. team presentations on a panel entitled Technologies Enabling New Physical Experiences. At 3:15 p.m. PT, Macy’s, Inc. chief financial officer, Paula A. Price will keynote a track presentation focused on Changing Retail Formats and Footprints, and closing out the day’s activities at 5:45 p.m. PT will be a mainstage keynote from Jill Ramsey, Macy’s chief product and digital revenue officer and Rachel Shechtman, Macy’s brand experience officer, founder of STORY. On Monday, March 4 at 10:00 a.m. PT, Shawn Outler, Macy’s, Inc.’s executive vice-president, chief diversity officer, will present at a panel discussion focused on New Approaches to Sourcing and Merchandising. Shawn is also the founder of The Workshop at Macy’s, the first retail vendor development program of its kind, geared towards minority and women-owned businesses. The company will also be represented by a host of senior leaders across the technology, business development and digital customer experience teams who will attend the multiday event to meet with potential vendors, learn about emerging trends and participate in networking events. 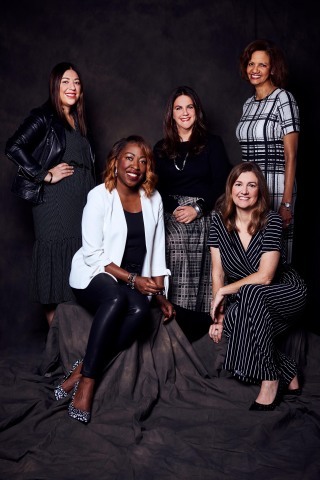 Macy’s strong line-up of female executives presenting at Shoptalk is yet another reflection of the company’s commitment to diversity and inclusion across all aspects of the business. Macy’s, Inc. is one of the nation’s premier retailers. With fiscal 2017 sales of $24.837 billion and approximately 130,000 employees, the company operates approximately 690 department stores under the nameplates Macy’s and Bloomingdale’s, and more than 170 specialty stores that include Bloomingdale’s The Outlet, Bluemercury, Macy’s Backstage and STORY. Macy’s, Inc. operates stores in 44 states, the District of Columbia, Guam and Puerto Rico, as well as macys.com, bloomingdales.com and bluemercury.com. Bloomingdale’s stores in Dubai and Kuwait are operated by Al Tayer Group LLC under license agreements. Macy’s, Inc. has corporate offices in Cincinnati, Ohio, and New York, New York.